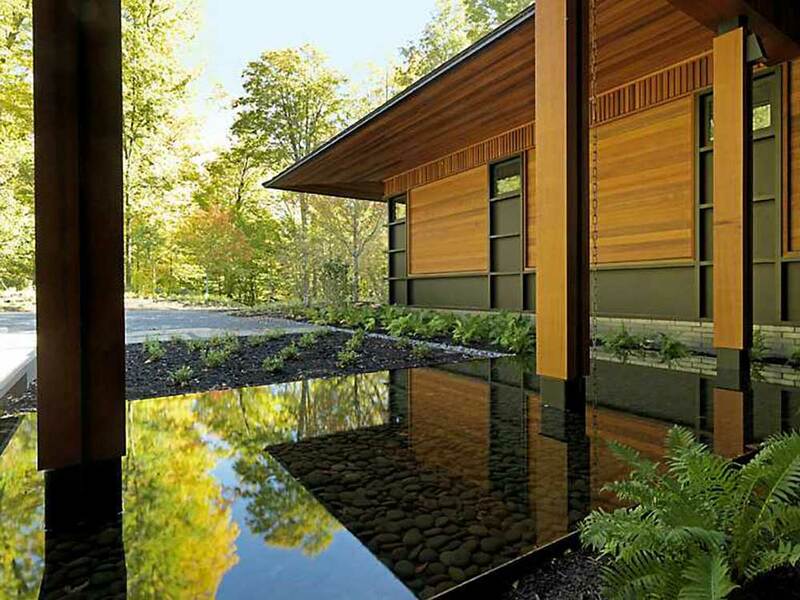 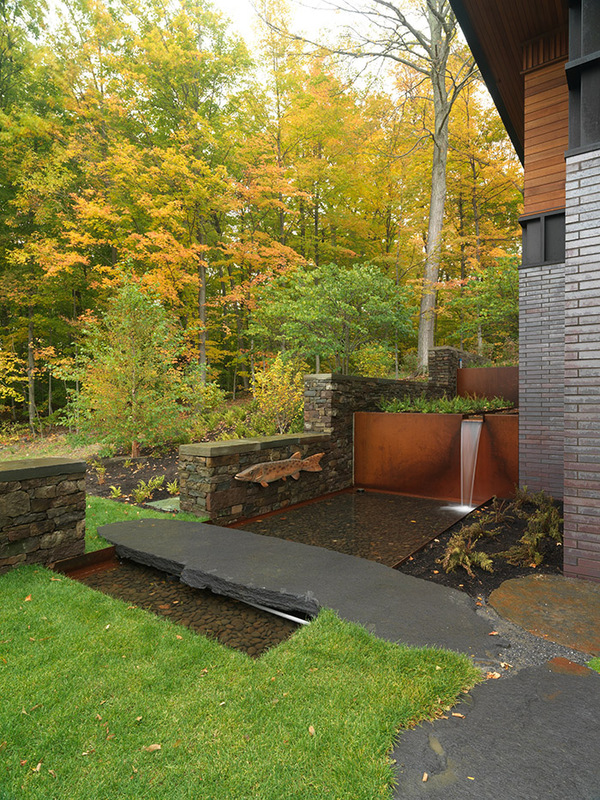 This home features a unique recirculating water element that collects roof runoff from around the building, and culminates in a beautiful reflecting pool at the front entrance. 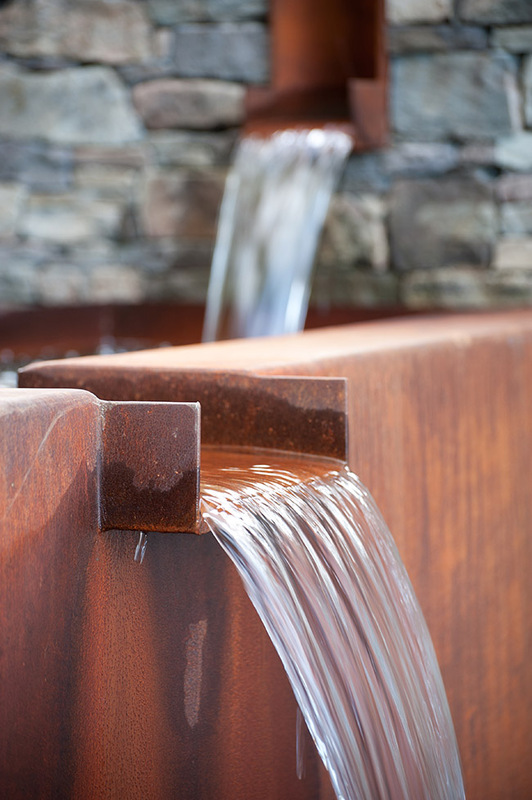 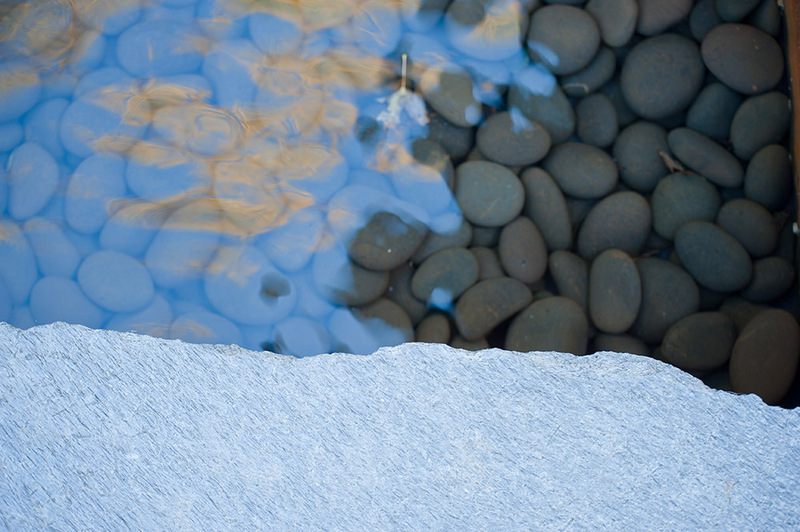 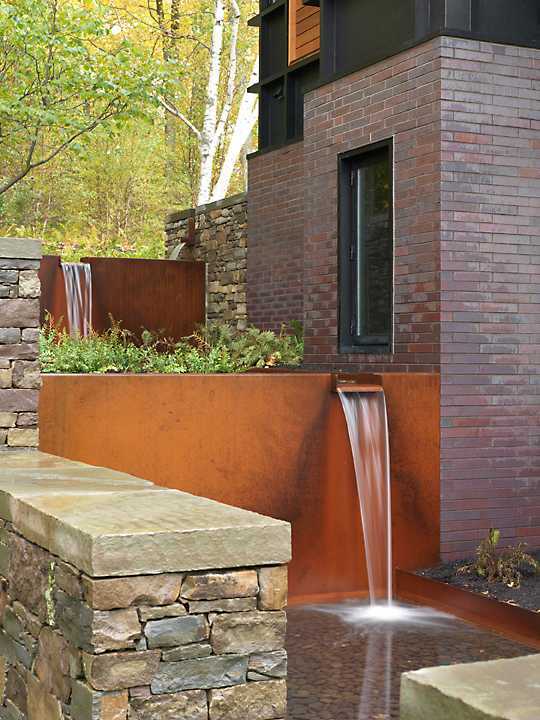 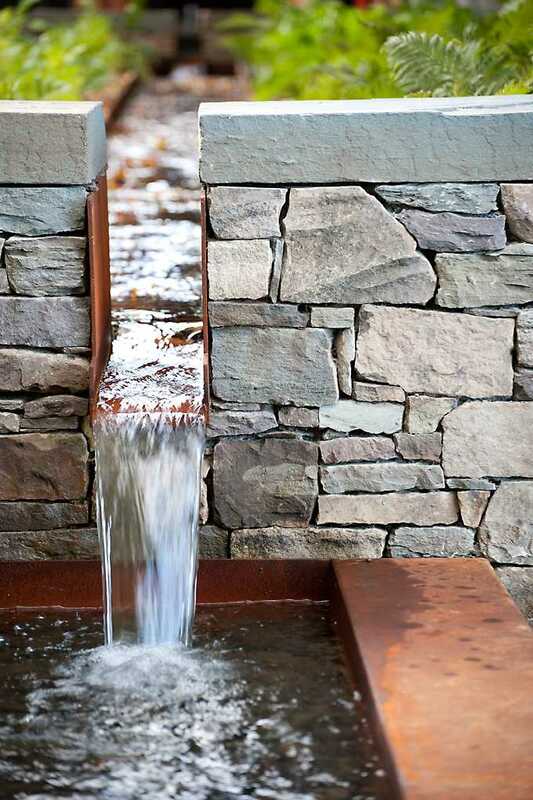 To the home’s rear, a water feature flanks an outdoor sitting area and provides the relaxing sound of running water as part of its recirculating design. 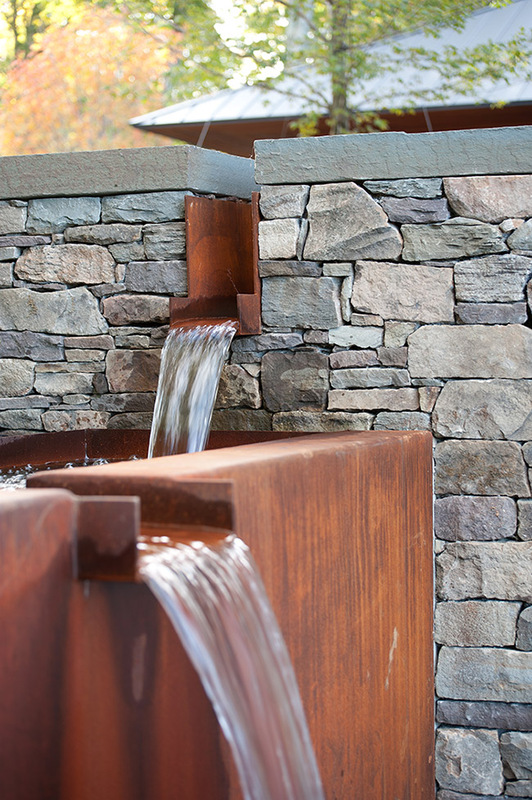 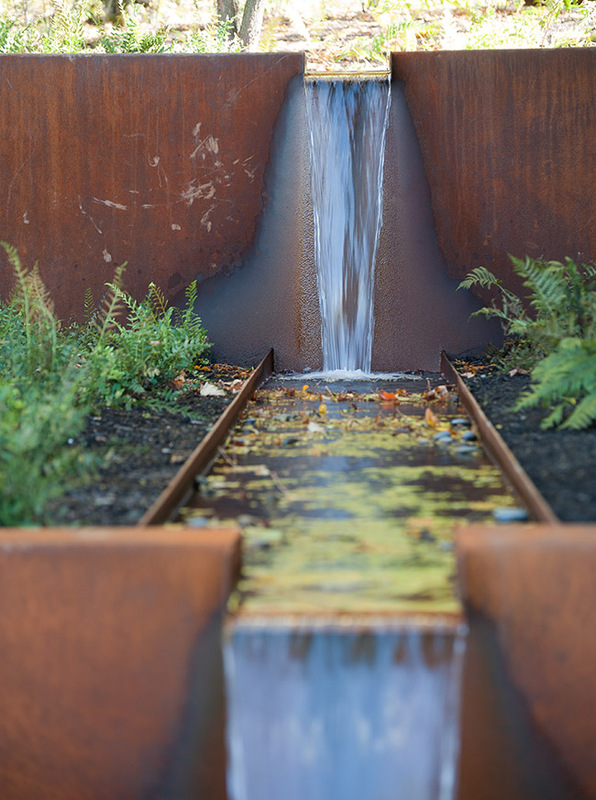 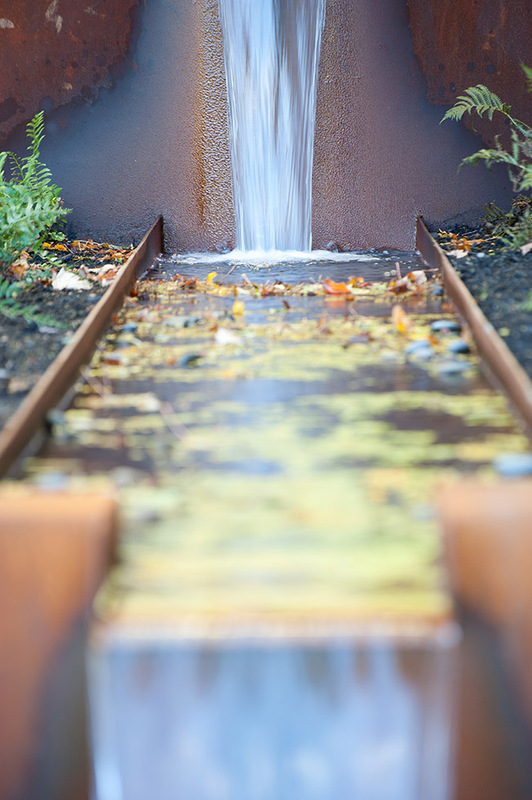 With a design by H. Keith Wagner Partnership, building by Birdseye Building Company, and masonry by Dave Newton, Church Hill’s role was the design and functionality of the water pump that powers the water sculpture.